Columbus, the capital and largest city in the state of Ohio, is the 14th-largest city in the United States with a population of 860,900 as of 2016 estimates. It was ranked one of “the 6 Best Big Cities” in the country in 2016 according to Money Magazine. 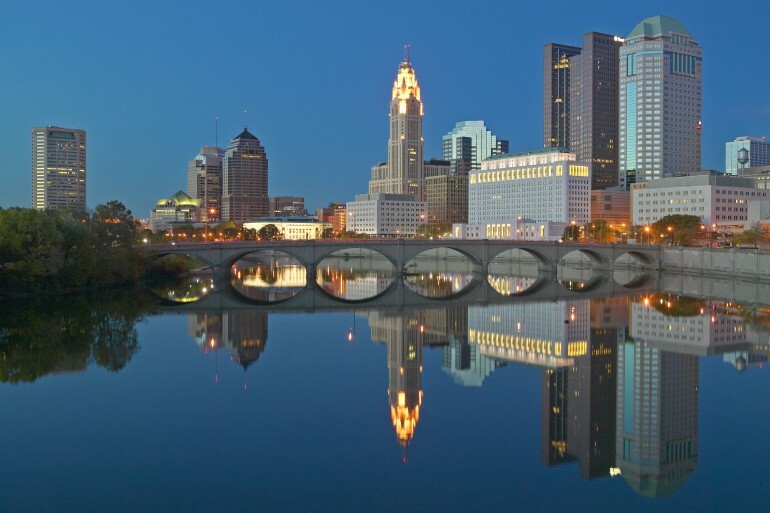 With its diverse and strong economy, which ranges from education, banking, government, and insurance to food, logistics, fashion, energy, steel, technology, and energy, Columbus is considered one of top places for business according to Forbes. Forbes also rated it the number one up-and-coming tech city in 2008. Columbus is home to the Battelle Memorial Institute, the world’s largest private research and development foundation; Chemical Abstracts Service, the world’s largest clearinghouse of chemical information; Net Jets, the world’s largest fractional ownership jet aircraft fleet; and The Ohio State University, one of the largest universities in the United States. This diversity emphasizes the necessity for demanding, high quality translation services as many of the successful local businesses and organizations continue to expand and have exchanges on a global level. Our established document translation lends its expert support to facilitate communication with and for Ohio’s international partners and clients. We can provide you with marketing, technical, financial, legal or medical document translations and voice recordings and our experienced project managers will ensure the highest quality and accuracy by putting the right team together for your needs. Our video dubbing, whether lip sync or voice over, is of outstanding quality. We look forward to being of service to you and your organization. Contact one of our project managers today!